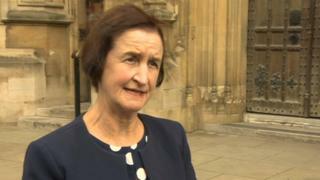 Image caption Nia Griffith says Labour must be "absolutely sure we can stand up and say we're not anti-Semitic or racist"
Labour is at a "crisis point" in the anti-Semitism row within the party, Llanelli MP Nia Griffith has said. After months of acrimony Labour's ruling body has adopted an internationally recognised definition of anti-Semitism in full, with all the examples. Ms Griffith says the party needs to make sure "it is a turning point". First Minister Carwyn Jones said it was an important step towards rebuilding relations with Jewish communities. The International Holocaust Remembrance Alliance [IHRA] definition was incorporated into Labour's code of conduct in July - but not all its examples were included. The party will now incorporate all 11 examples, its National Executive Committee (NEC) has decided, but it will also publish a statement aimed at protecting free speech. Ms Griffiths, shadow defence secretary, said regaining the faith of the Jewish community was "going to take sustained action". "We've got to make it absolutely clear we do not tolerate anybody saying or writing things which are anti-Semitic or racist and we need to be absolutely clear that we will deal with members that transgress on that. "We want to be absolutely sure that as a party, that we can stand up and say we're not anti-Semitic or racist. This is a crisis point and we've got to make sure it is a turning point." But supporters of Mr Corbyn - some of whom staged a protest outside the NEC meeting - argued that adopting the IHRA definition with all examples would restrict freedom to criticise Israel's actions against Palestinians. After attending the NEC meeting, Mr Jones said he was "pleased the UK Labour Party has now followed the Welsh Labour government's example, and adopted - in full - the IHRA definition of anti-Semitism". In a statement he said: "If we think these last few months have been uncomfortable for our party, then we need to consider what it has been like for Jewish communities in this country, who have for so long looked to us to be leaders in tackling all forms of prejudice and hate. "Today is an important step in rebuilding those relationships, and restoring our credentials as a party that listens." 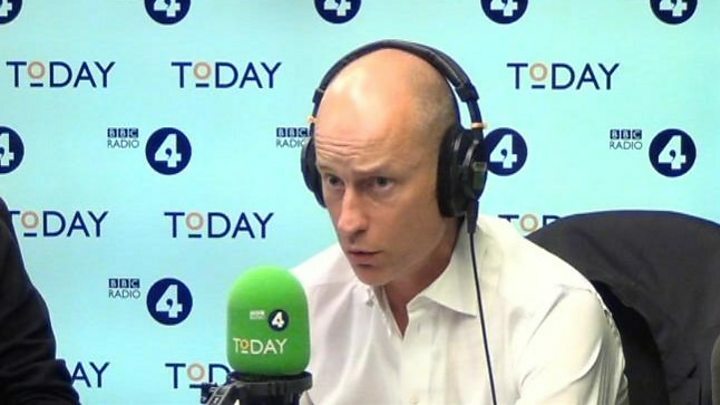 Describing anti-Semitism row as "avoidable and damaging" he urged the party to "learn more lessons from us in Wales, where, in government, we deal with difficult issues all the time". "As chair of the Faith Forum in Wales, I'm acutely aware that the way to find cohesion and progress is through dialogue and mutual respect," he added.